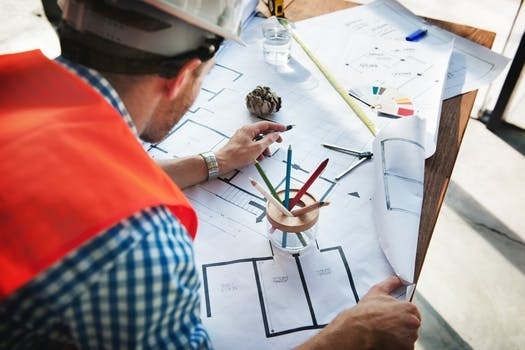 At Varming Consulting Engineers Ireland, we design and create the most energy efficient and ecologically sound buildings and building services for our clients and our team has a wealth of experience in all matters relating to sustainable design. One aspect of building design that we often get queries about are the differences between passive and active design, so we thought it would be a good idea to create a blog about it for our regular readers. Passive design is a term that often gets used when talking about modern buildings - so what exactly does it mean? Well, this question is a relatively straightforward one to answer, as passive design is a method used by mechanical and electrical engineers alike to allow a building to use the environment around it for heating and ventilation purposes. Whether it is sunlight, wind or gravity, passively designed systems are able harness these natural forces, meaning that no grid power or fuel is required for their operation. Active design on the other hand, is a structure or system that either uses or is able to produce electricity itself, which is something that describes the overwhelming majority of buildings that exist. To put this into context, if a passive design provides ventilation and heating using natural ‘non powered’ systems, a building using active design will achieve the same end, but have to use technologies such as solar panels, heat recovery systems, or the use of renewable energy sources such as wind turbines. The work our M & E Consulting Engineers do in the field of passive and sustainable design is at the cutting edge of the construction industry’s inexorable move to greener and more sustainable methods of working. We believe the new and currently emerging technologies in building design are evidence that the dream of a world where all buildings give back more than they take from the environment is a realisable one. If you would like to know more about anything discussed here or would like to know more about the work we have been doing since we were founded in 1946, you should visit our website www.varming.ie , where you’ll find all you need to know. Alternatively, if you’d like some advice on how our sustainable design methods could help your next project, call our Dublin Head Office on 01 4872300 and you can speak to one of our friendly, knowledgeable team.